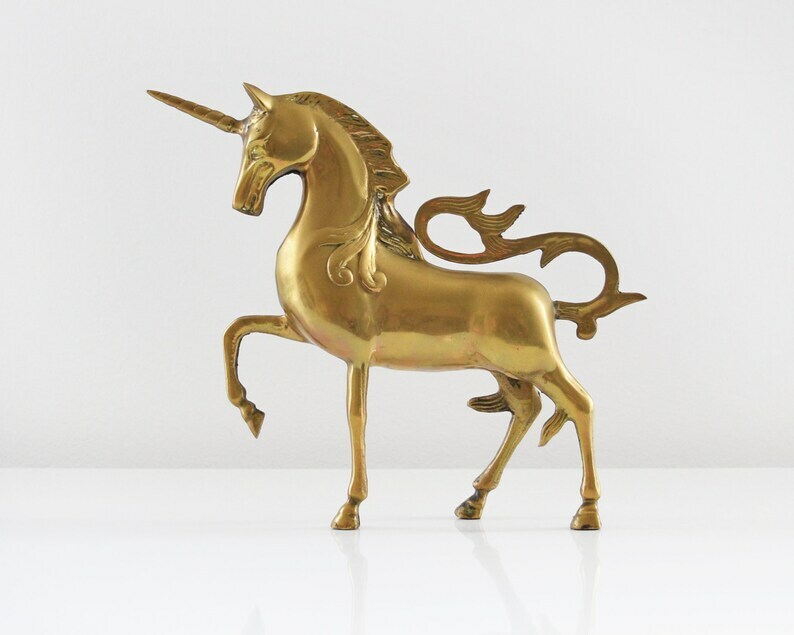 Fantastic vintage brass unicorn. The unicorn has nice carved detail and large dragon style tail. The figurine stands on three legs, with it's fourth being held up as it's about to take a step. Minor patina from age, which only adds to its charm. There's a split seam under the chin, which shows that the piece is hollow. I haven't attempted to polish the set.